MOUNTAIN VERSUS BEACH – WHICH ONE’S FOR YOU? 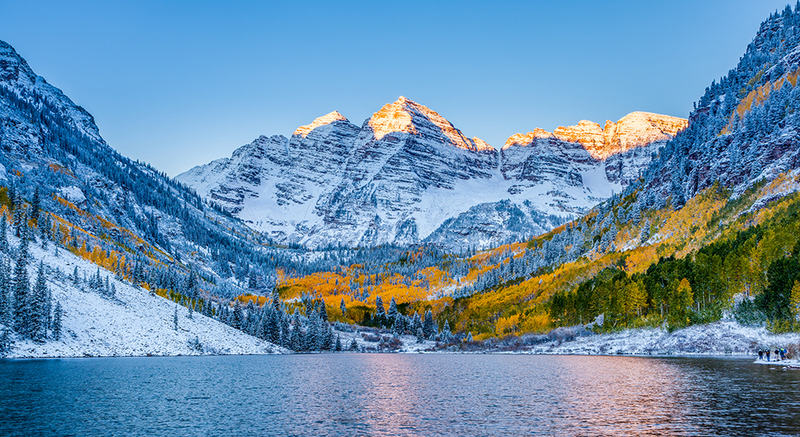 From the fresh alpine air to warm sunshine shores, from the highest peaks to hidden beaches. 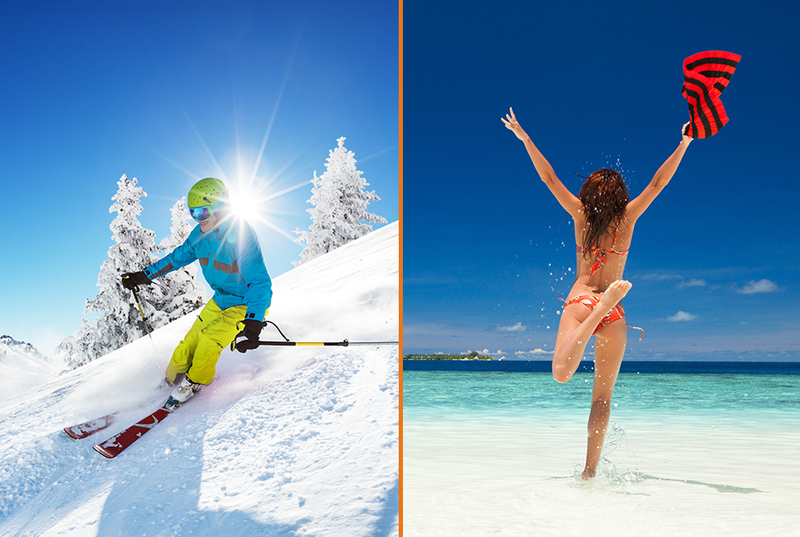 It can be hard to choose between mountain or beach, winter or warmth, ski or swim. Which is why our travel experts have compiled a list of the most desirable luxury vacation rentals around the world. Inspired by golden shores, rugged clifftops and mountainous ranges, there’s a destination for everyone in this contrasting list of unbeatable properties. If you’re looking to change your scenery completely with outdoor adventure and total escapism, there’s no better refuge than the mountains. Calm and crisp, high and mighty, there’s something inviting about the highest peaks that beckons traveler’s year after year. Whether it’s for adventure travel, getting back to nature or just getting away, there’s many reasons why a mountain break could be the right choice. With high hilltop views, romantic wood burning fireplaces and complete isolation, head to Villa Justine in Aspen. This six-bedroom home offers complete privacy in the lap of luxury with all modern comforts, including; a wet bar, built-in barbecue grill and fire pit to wow guests. This world-famous American destination has some of the best ski runs in the world. Conversely, if you’re looking for mountain fun in the thick of it, Villa Rayna in the popular French ski resort of Courchevel is a great spot. 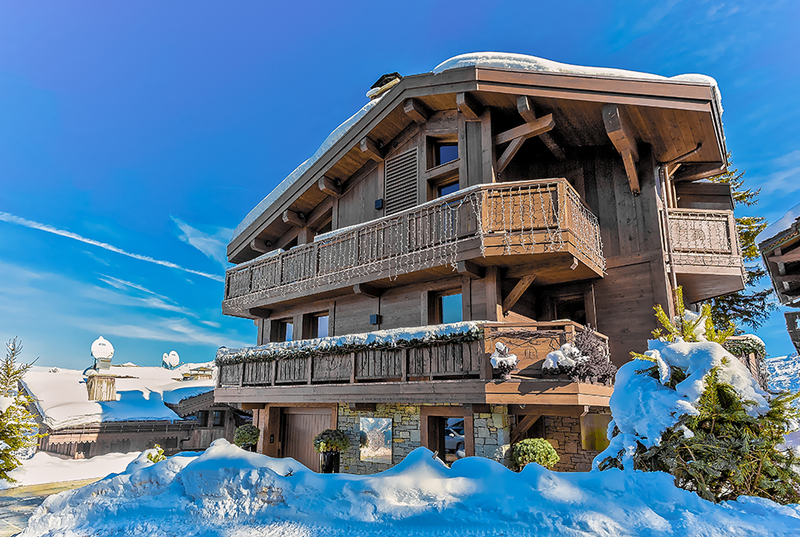 Up to 15 guests can stay in this magnificent chalet, perfectly placed for all the ski action, as well as local entertainment and dining options nearby. But with your own private chef, swimming pool, sauna and steam room, you’ll probably never want to leave your luxury vacation home. If you’re more in tune with the gentle sounds of crashing waves and sand between your toes, then a beach holiday may be more suited to you. There’s certainly no end of choice when it comes to white sands and turquoise waters – the challenge is finding somewhere unspoiled and undiscovered. 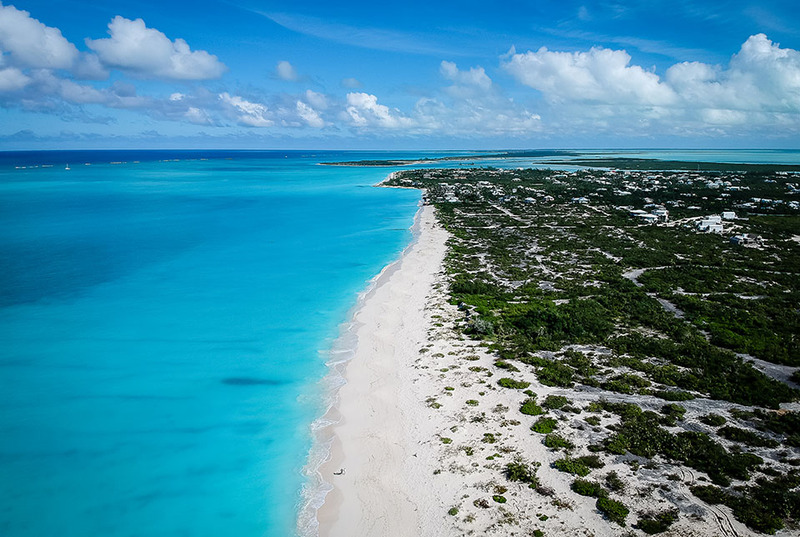 If total pampering and pristine beaches is your thing, then say hello to the Turks & Caicos islands! With impossibly blue waters and endless stretches of golden sand, it offers the ultimate beach break. In Long Bay, the breath-taking mansion of Villa Trina is a stand-out property spanning 10,000sq feet. It features seven impeccably designed bedrooms, an outdoor movie theater with fire pit, hot tub, no less than two private pools, a tennis court and of a course a butler! Perhaps you’re looking for a tranquilly and beach life, with all the amenities of modern living nearby? Then the private residence of Villa Denise in Miami Beach offers a stunning luxury vacation home to unwind in. Expect total tranquilly and escape in this elegant property on the elite Sunset Island. Its heated pool and luscious gardens provide the perfect backdrop to a restful stay. But if you can’t decide where to go, why not have it all?! 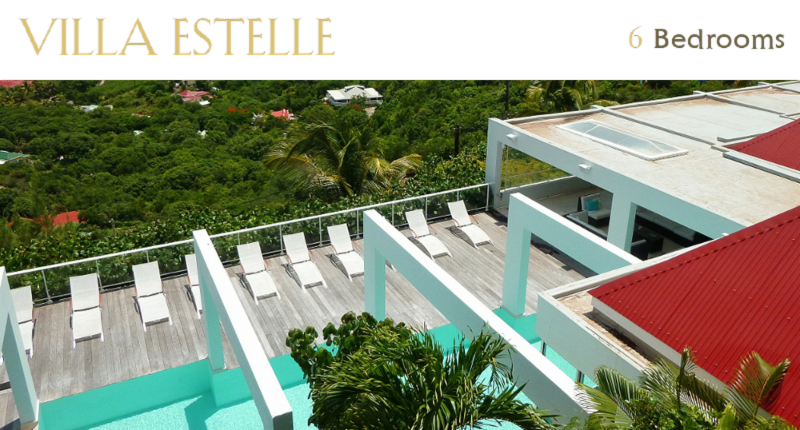 High in the hilltops of St Barth, Villa Estelle perches on a mountain cliff, minutes from the famous Eden Rock and overlooking the beautiful ‘Baie de St Jean’. A luxurious retreat with six bedrooms for guests, complete with private pool and sweeping views, it delivers all the magic of the mountains with a ‘beach within reach’ for the complete package! Whether you’re seeking magnificent mountains or beautiful beaches, Global Luxury Villas offers unrivaled luxury in some of the most desirable locations in the world. A jewel in the ever-gleaming turquoise Caribbean shores, St Barth is a truly exceptional island that should be visited at least once in a lifetime. 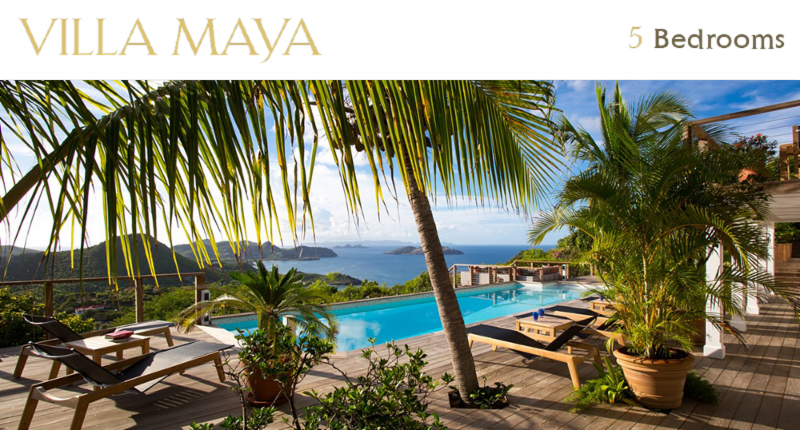 And staying in a St Barth luxury villa is the only way to visit, for a truly memorable trip. 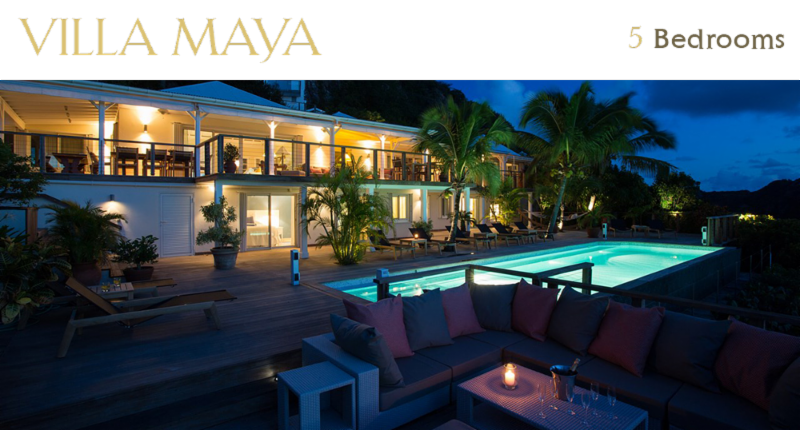 A popular destination all-year round, visitors come here for the tranquility, unspoiled natural beauty, world-class villas of St Barth and a warm Caribbean welcome. It’s the go-to destination for total relaxation and chill, with stylish boutique dwellings to match. There are 14 pristine beaches on St Barth which are never crowded, even in peak season. These are places of sanctuary and chill, where impossibly white sands meet delightfully blue waters. When in search of total relaxation, any one of its five-star beaches lend themselves perfectly to a touch of calm and serenity. Although Colombier Beach is the most popular, Saline beach is a favorite with locals, for its laid-back style. Here you can enjoy postcard-perfect views, brilliant white stretches of beach and a local rum punch, while enjoying the blissful weather. For a beach within reach and stunning coastal views from every angle, Villa Estelle is made for serenity and seclusion. 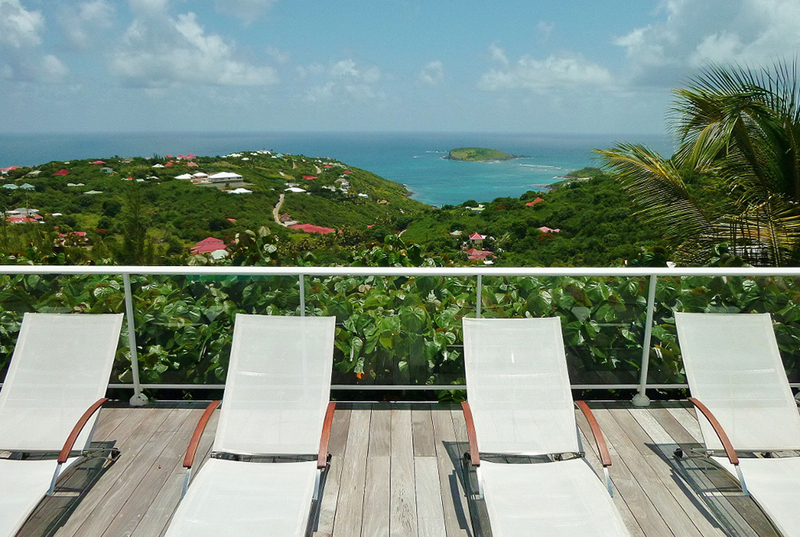 This six bedroom St Barth vacation rental enjoys a privileged rooftop position, with a delightfully secluded pool looking out to the sea. This is an island where you can sit back and watch the world go by. For total chill, the Pink Parrot Beach Bar at St. Jean Beach provides a fabulous backdrop to unwind with a good book in one hand, glass of something bubbly in the other! But for complete decadence, Villa Liliana is the place to kick back with a cocktail from your private bar, best enjoyed on your very own luxurious sun deck. Here you can enjoy front facing beach views, sailing boats and crashing waves. If that wasn’t enough, its blissful pool invites you in for cocktails at sunset, or indeed any time of day. At Villa Liliana, it’s hard to do anything but relax! There’s nothing more calming and restorative than the gentle lapping of waves. Luckily, you’re in the right place for every kind of water sport, or transport vessel imaginable! 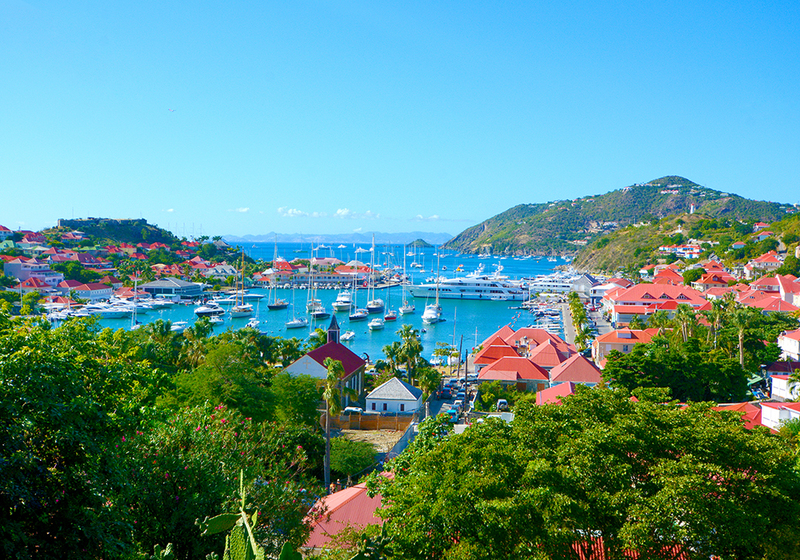 Head over to Gustavia Harbour for boat hire and catamaran tours of the island, it’s what St Barth life is all about! Position yourself in the ideal place for exploring the island by water. 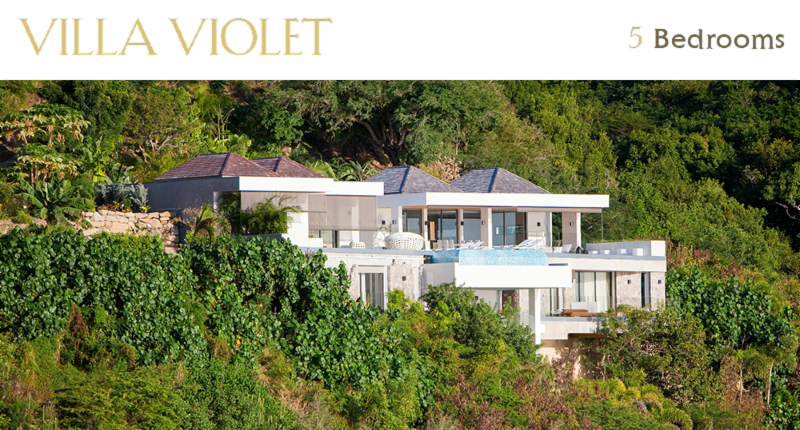 Not too far away, Villa Violet is situated in the west of the island, close to the famous harbor. 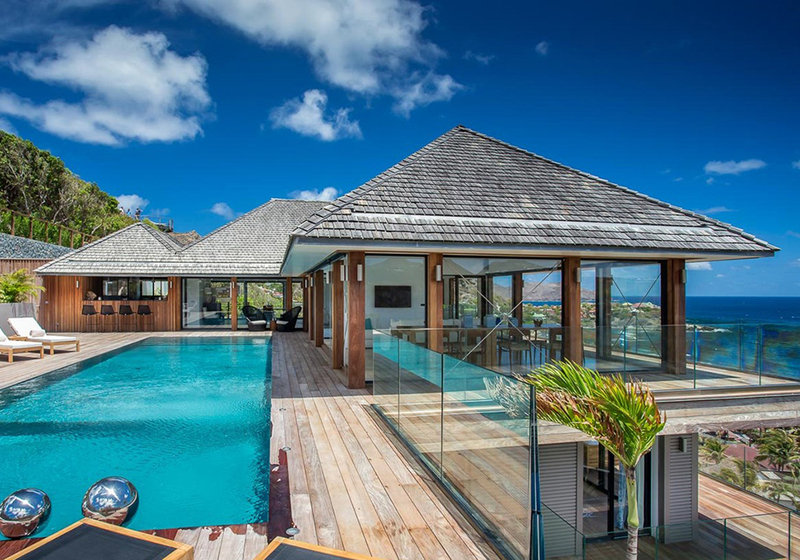 This delightful St Barth luxury villa has room for up to 10 guests, including a semi-heated infinity pool hanging off the cliff edge. There can be no better spot on the island to watch the world sail by, while reconnecting with nature. It’s what luxury relaxing holidays are all about. So, there you have it, three good reasons to head to St Barth for the ultimate chilled and chic holiday. 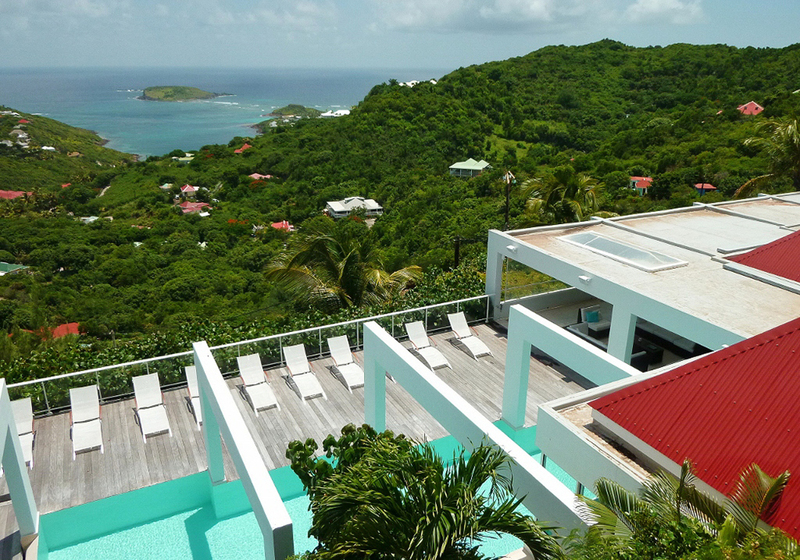 For an unforgettable vacation, Villazzo offers a wide selection of St Barth’s luxury villas to complete your stay. With outstanding customer service and an unrivaled portfolio of properties, you’re guaranteed a five-star break. WHY RENT A VILLA FOR YOUR HOLIDAYS? Holiday time is precious, so when it’s time to unplug, unwind and get away, you’ll want to ensure that every moment is enjoyed to its potential. Which is why many people are turning to luxury vacation homes instead of hotels for their vacations. If holidays are about one thing, it’s getting-away. Renting a villa provides the perfect way to escape the daily grind without having to share your space with strangers. A private pool all to yourself, an outside dining space exclusively for your party – and in most cases, no immediate neighbors. 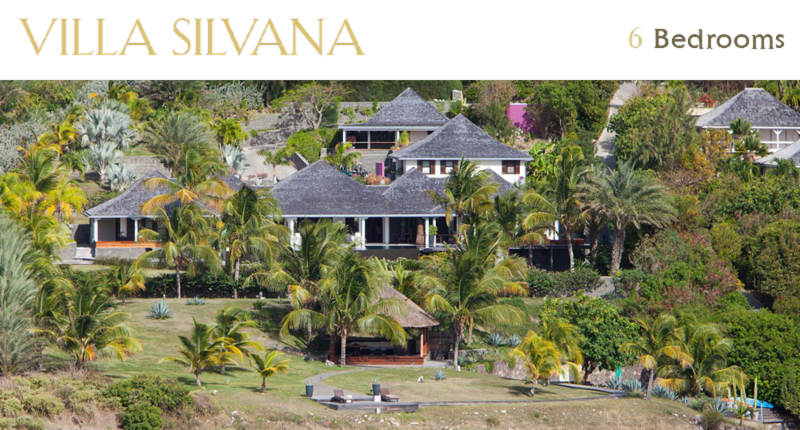 Many luxury villa rentals, like Villa Silvana in St Barth’s, offer seclusion and luxury in a hilltop retreat, within easy reach of the beach. Contrary to popular belief, a luxury villa rental can be a great way to enjoy value for money. When you consider the sheer size of the property you have access to, often with added bonuses such as free parking, WiFi, gym access, cable TV and a private pool – the perks add up. If you enjoy self-catering, then it’s also a great way to cut back on expensive hotel food and drink. Furthermore, with the flexibility to check-in and out at your leisure, it makes for a stress-free way to spend a well-earned break. Holidaying with a group of friends or extended family? Hotels aren’t always the most convenient way to spend quality time together, with groups often spread out. Luxury vacation homes, however ensure that you can spend time together without compromise. Villa Rochelle in Ibiza, for instance, is a breath-taking property offering 16 bedrooms for larger groups. It comes complete with private pool, gym, dance floor and chill-out tent (yes, chill-out tent!) to create an unforgettable vacation. The best way to immerse yourself in a culture is to live like a local. This can be hard to do when you’re surrounded by fellow holidaymakers. However, since villas are located in private neighborhoods and highly desirable locations, it’s likely that you’ll get to experience a different side of your destination. It also enables you to shop and dine like a local too! More and more we’re seeing business travelers bringing their families with them on work trips. Villas provide the perfect ‘home from home’ for families to base themselves, offering areas to work and play, without distraction. If for no other reason, a luxury villa rental gives you access to the most exclusive properties available. For example, the highly desirable residence of Jungle Island in Miami is home to Villa Vanya, one of the most exclusive properties in the area. It features waterfront views and seven impeccably decorated bedrooms in 10,500 sq ft grounds. It’s as close to a ‘money can’t buy’ experience as you could hope for. Vacation homes are the way to go for foodies. With most properties boasting gourmet kitchens and endless dining spots, inside and out, it’s the ideal way to self-cater, especially enjoyed by larger groups. And finally, you don’t have to stay in a five-star hotel to reap all the benefits of luxury. Villazzo offers luxury villas with an in-house concierge service, on hand to meet all your needs. This includes organizing personal touches, from stocking your favorite foods to making bookings and catering to the needs of your guests, and much more. For an unforgettable vacation, Villazzo offer some of the most exclusive luxury villa rentals in the world. With outstanding customer service and an unrivalled portfolio of properties, you’re guaranteed a five-star stay. A crisp glass of chardonnay in one hand, a good book in the other – all that’s needed is an infinity pool for the perfect get-away. Holiday like a King at Villa Veronica in Ibiza, where new world charm meets timeless elegance in this ultra-modern oasis. At the heart of this five-bedroom luxury vacation home proudly sits a welcoming infinity pool, teetering off the edge of the villa. But that’s not all, this property has a secret hidden bunker with an underwater disco bar for your very own after-hours club! For the ultimate in pampering, it also has a detox sauna and gym. Best for Clinging to a Cliff Top! Sometimes, only an infinity pool clinging on to a cliff top retreat will do! 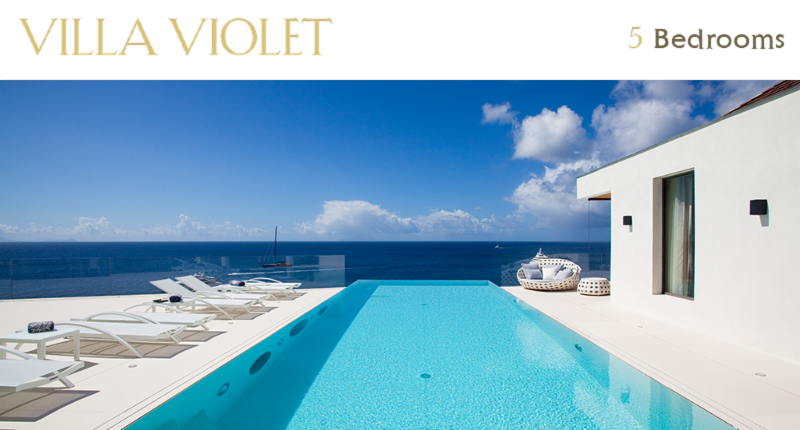 Villa Violet in Saint Barth makes this dream a reality, with its semi-heated slender pool offering plenty of space in its modern sundeck. Giving the feel that you’re swimming straight into the horizon, this stunning luxurious villa rental transports you to paradise. It doesn’t get more exclusive than the sun-drenched hills of Saint-Tropez. Perched on the hills, the heavenly hideaway of Villa Sogno di Luce offers six extravagant bedrooms and spacious living room with state-of-the-art facilities. For outdoor living at its best, it’s complete with a vanishing edge pool and Jacuzzi, and outdoor lounging area, ideal for relaxing with guests. 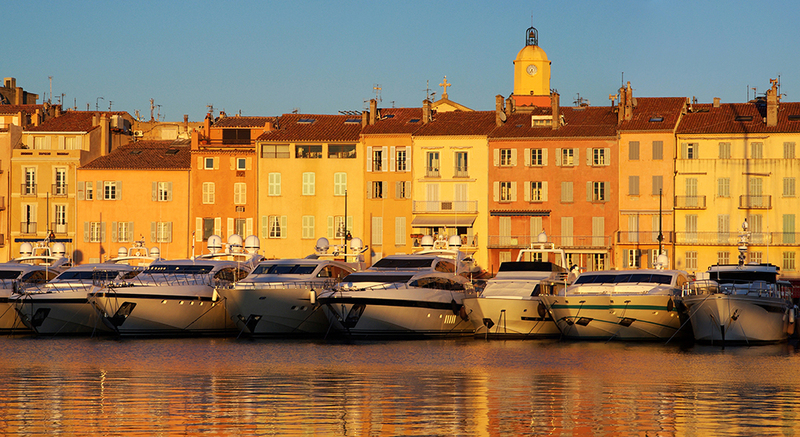 Hollywood A-listers flock to Saint-Tropez every year, and not just for the international film awards. This has long been the destination of choice for stars seeking refuge in their very own luxury vacation home from home. Its best enjoyed with an Aperol Spritz as the sun goes down from the comfort of your private pool. 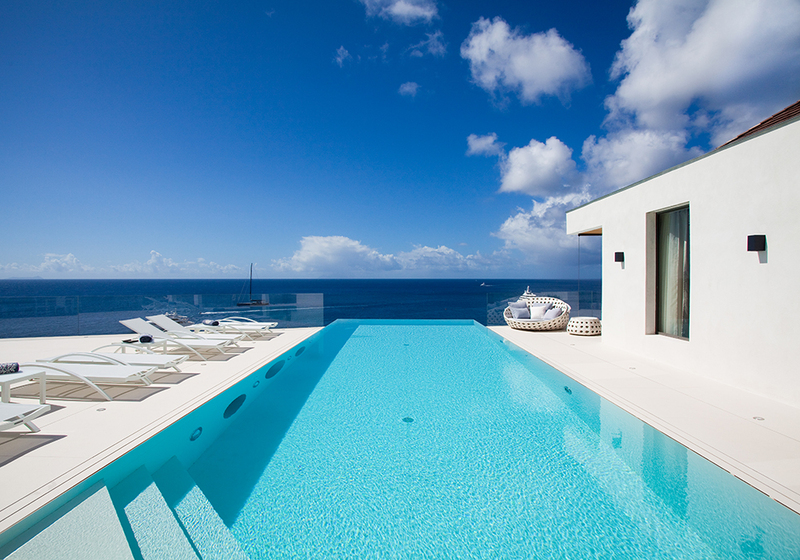 The contemporary swimming pool in Villa Brigitte is just the place, with great views overlooking the ocean. It doesn’t get more exclusive than the cluster of small islands between Miami and South Beach, otherwise known as Jungle Island. Here you will find Villa Vanya a luxury villa rental offering playful luxury with contemporary charm. Surrounded by water, it boasts floor-to-ceiling views, for the ultimate view without having to leave the island! No expense is spared, with its very own elevator, secluded swimming pool and private terrace. Villazzo provides luxury vacation homes with jaw-dropping pools around the world. Coupled with outstanding service, it provides all the trappings of a five-star hotel, in the privacy of your own villa. ESCAPE THE CITY AND HIT THE BEACH THIS SUMMER! Summer is officially here in all its glory and it’s time to book that much deserved get-away! For those of us that work in the city, an escape to the beach with a luxury villa rental may be just the tonic you need from overload burnout. Research has found that taking a vacation is good for your performance at work. That’s not all, there’s many health benefits associated with going to the beach, from the minerals in sea water to the calmness of the environment. As if you needed an excuse to hit the beach, we’ve made it even easier, picking out our favorite global gateways for the ultimate relaxation. Just add a luxury villa rental in to the mix and you’ve got the perfect recipe for a five-star break! St Barths – for Nothing but Beaches! Surrounded by the Caribbean Sea, St Barths takes pride of price with 14 picture postcard perfect beaches to discover. 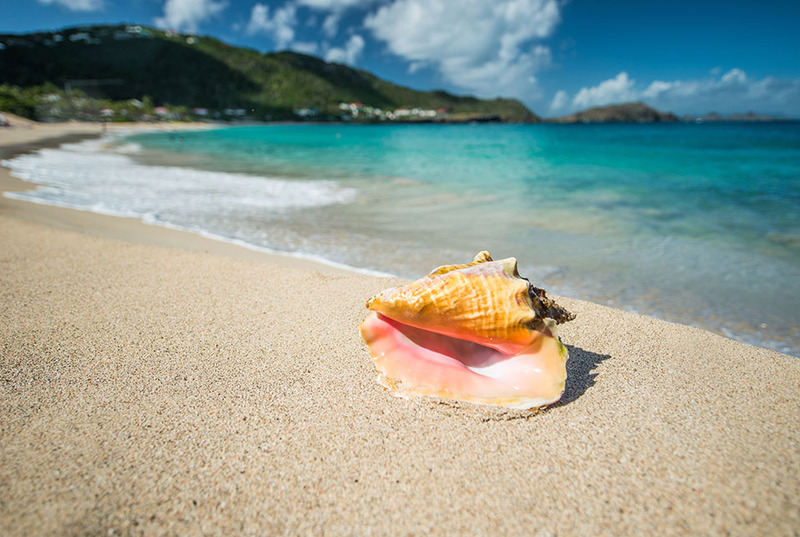 Amongst its most famous is Shell Beach in Gustavia – a great location for cliff jumping, snorkeling and cave diving. For a polar opposite experience, Flamands is not just the largest beach on the island, but one of the most pristine with stretches of glorious white sand. This is the go-to beach for sunbathing and romantic walks. 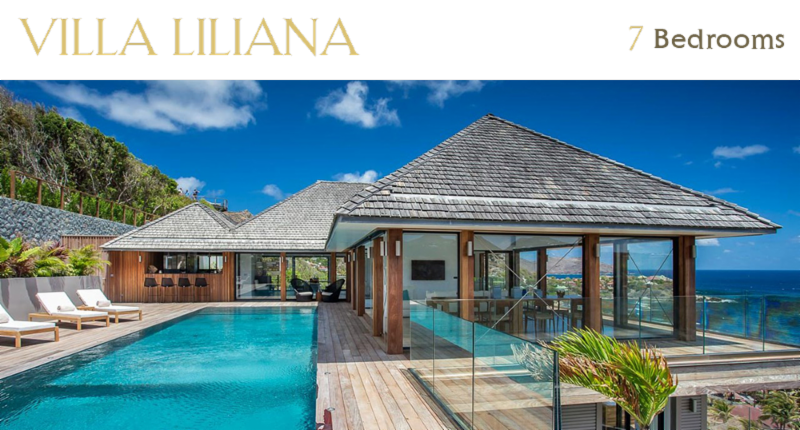 It’s also within easy reach of Villa Liliana in nearby Anse des Cayes, providing all the trappings of a St Barths luxury vacation home with your own private pool to plunge in to. 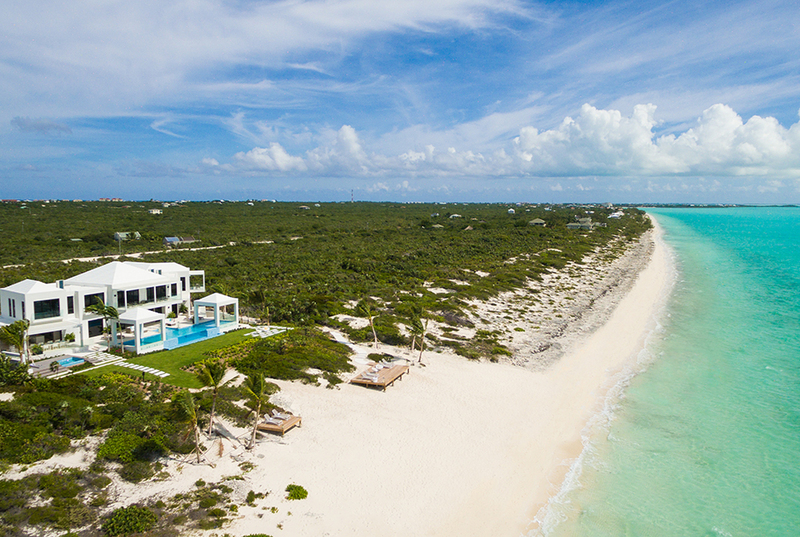 Swap the hustle and bustle of city living for the ultimate chill in the Turks & Caicos. Home to 40 coral islands, leading luxury villas, shops, restaurants and beaches for days, this is luxury living at its best! 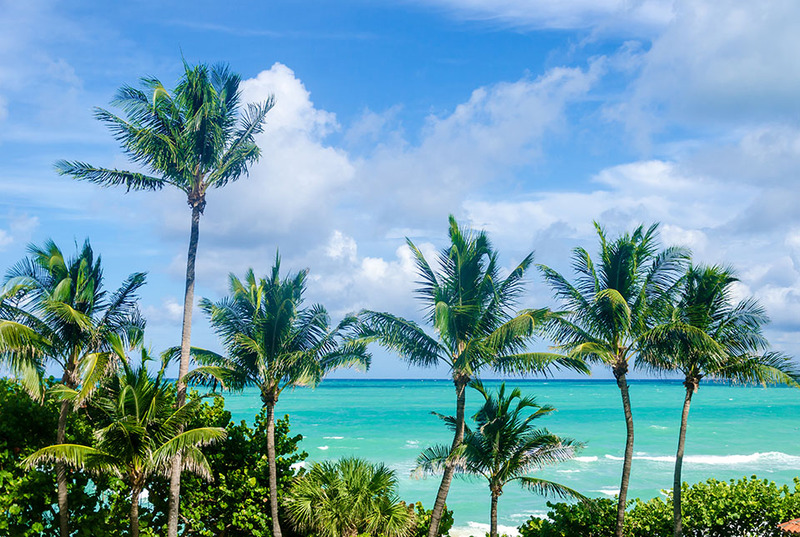 Grace Bay is probably the most known beach, boasting 12 miles of unadulterated bliss. While Long Beach Bay has all the right ingredients for the perfect beach – privacy, turquoise waters and impossibly white sand. For a great escape with complete tranquility offering some of the most decadent yet exclusive luxury villa rentals on the island, look no further. Known for its glitzy upscale settings, providing the bliss of beach within city limits, South Florida seduces with its luxurious surroundings. Palm Beach is popular with holidaymakers seeking the refuge of the beach, but with boutique shops, restaurants and all the benefits of city life within reach. Like something out of Baywatch, Oceanfront Park Beach is one of the closest beach settings, complete with its own lifeguards, as well as beach chair rental. With so much space to enjoy, this is a great destination if you’re looking for a large luxury vacation house too. So, there you have it, three of the most seductive, exclusive and charming beaches for when you want to escape the city. For luxury villa rentals within reach of the best beaches in the world, book your get-away now with Global Luxury Villas. It’s that time of year again when thoughts turn to a vacation for some much-needed time out. More than just topping up your tan, rest and relaxation is imperative for productivity and rejuvenation. As such, wellbeing travel has come to the fore in recent years, with stunning spas, tranquil luxury villa rentals and revitalising settings to help aid the ‘R&R’ process. However, the ultimate break requires the ultimate retreat, and to help inspire, we’ve compiled our top four luxury destinations for those seeking chic chill. Picture postcard views of rolling hills, vast vineyards and sun-kissed skies make Tuscany one of the most idyllic settings for a relaxing break. For those that enjoy unwinding through art, there’s plenty of landscape to paint, while those who enjoy cultural walks or love Italian cuisine are spoilt for choice. If seclusion is what you’re after, then its remoteness makes it highly desirable. Luxury villa rentals in Tuscany are often nestled in rugged mountains and charming countryside retreats. Where party and peace come together in natural harmony. The spectacular island of Ibiza is home to some of the most luxurious villa rentals offering elegance, beauty and the ultimate in chill. Without having to leave your property you can soak up the sun, lounge by a salt water pool and enjoy sundowners with the best view in the house. The island also has its fair share of secluded coves, fitness retreat and detox camps, as well as the blissful island of Formentera awaiting your discovery. When it comes to getting away from it all, Ontario offers an exciting alternative from the daily grind. By night, luxurious lodges provide the perfect setting to unwind, while the great outdoors await discovery by day. Spanning 400 acres, High Park is a great starting point to explore with nature all around. Of course, most tourists come for the Great Lakes – some 250,000 in total, offering undeniable tranquility while getting back to nature at the same time. When only five-star pampering will do, bathe in the complete luxury and transformative settings of St Barth’s. Alcove beaches with pristine white sand and calm aqua waters offer unrivalled views for beach lovers, or you may prefer to sip cocktails from the privacy of your own pool. St Barth’s, after all, is known for its high-end heavenliness, with luxury vacation homes, daytime yoga sessions and divine eateries awaiting your visit. If you’re in search of sun, sea and luxury, then Global Luxury Villas to discover your dream vacation today! The world may be your oyster, but when it comes to booking the luxury vacation rental of your dreams, it can be hard to know where to start. Which is why we’ve compiled a list of exquisite locations for the year ahead, picked by those who know luxury better than anyone else – celebrities! From the fresh air of Colorado, to the sun kissed shores of St Barth’s, here’s some of the hottest destinations on the A-list map. Known as “the St Tropez of the Caribbean”, this French-speaking island is known for its picture-postcard beaches, designer shops and celebrity clientele. Thinking of paying a visit? You’re in good company. Beyonce and Jay-Z, Orlando Bloom, Rihanna, and most recently Cindy Crawford, are just some of the stars that have been spotted “chez” Barths. With lavish luxury villas to rent and hillside pools to unwind it, this is the perfect island for relaxation and seclusion. Be sure to do as A-listers and visit La Langouste in Flamands Bay for extraordinary seafood, followed by a walk around Gustavia harbor to ogle at the jaw-dropping yachts. What do Bella Hadid, Stella McCartney and Elton John all have in common? Their love of Aspen, of course! 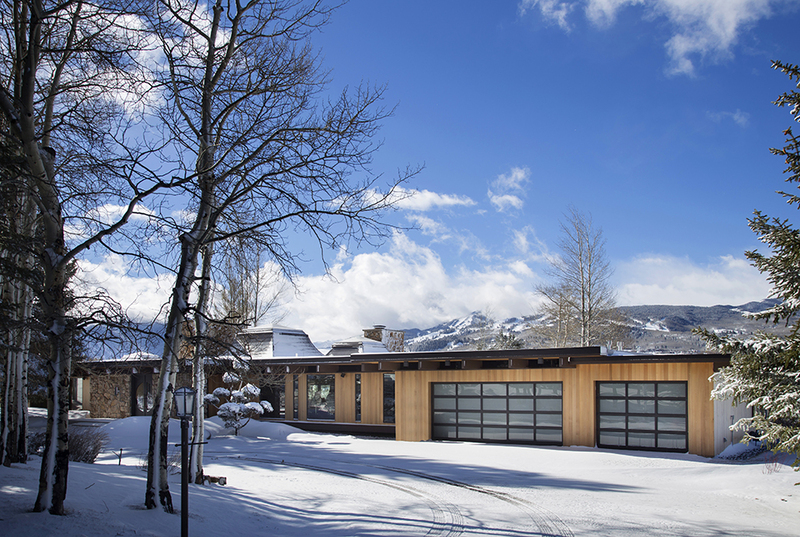 The fresh mountain air, alluring après ski and plenty of outdoor adventure, make it a popular haven for the jet set, with luxury chalet rentals a prerequisite. With award-winning runs for ski, sledge and snowboarding by day, and warm cozy nights in by the fire at night, it makes a particular favorite during the holidays. With any luck, you may even bump in to Mariah Carey on the slopes. From Kim and Kanye, to Kate Moss and friends, Ibiza’s the place to see and be seen. If you can’t afford to take a private jet like Cristiano Ronaldo, you may prefer to moor up alongside the other superyachts in town, like Simon Cowell. Always attracting an A-list crowd and superstar DJs like Calvin Harris, Ibiza Town is the place for a pre-party drink and bite to eat. 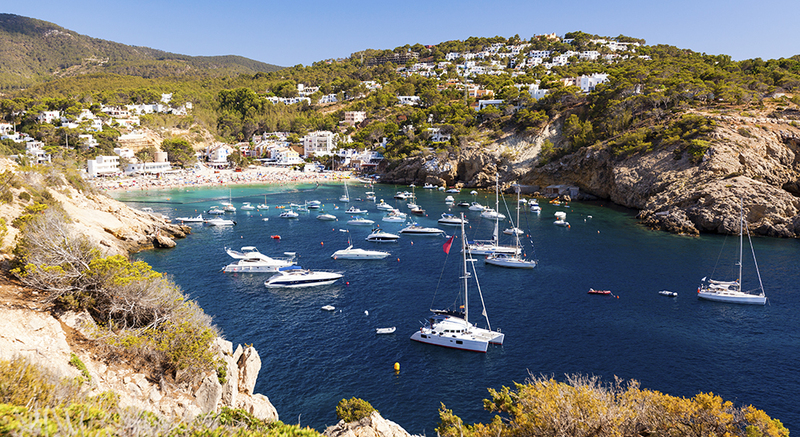 However, this island is all about the beach and there’s plenty to pick from, including Cala Salada, Las Salinas and the nearby idyllic island of Formentera – a favorite with Noel Gallagher. For the true Ibiza experience though, only a luxury rental villa perching off a hillside cliff will do! A haven for the glitterati since the 50s, Mallorca has welcomed legends such as Fred Astaire and Ava Gardner, along with Tom Cruise and Michael Douglas and Catherine Zeta-Jones to its golden shores. 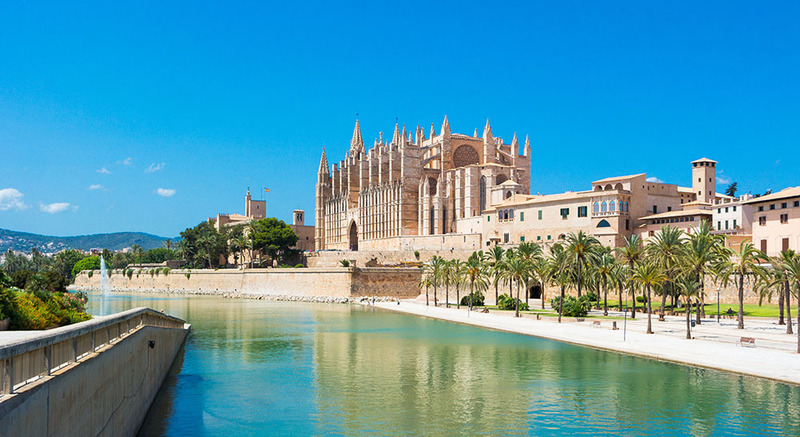 Boasting 300 days of sunshine a year, excellent golf courses, secluded bays and top-notch restaurants, this beautiful Balearic island is a timeless destination. Santa Catalina is a popular spot for five-star dining, while Bar Abaco is the place to star-gaze, in more ways than one! Finally, no trip is complete without a trip to Puerto Portals, where you might even bump in to Bill Gates on his mega yacht. This chilled out get-away has long been a favorite with the jet set community, since it offers tranquility and hillside retreats to escape to. Made famous by Brigitte Bardot in the film ‘And God Created Women’, a string of celebrities has been known to visit this beautiful coastal resort, including the Kardashians, Leonardo DiCaprio and supermodel Naomi Campbell. This is one place where lounging on your super-yacht is the best way to blend in! To book your luxury holiday villa, visit Global Luxury Villas to discover your dream escape today. Welcome to the French island of St Barth. 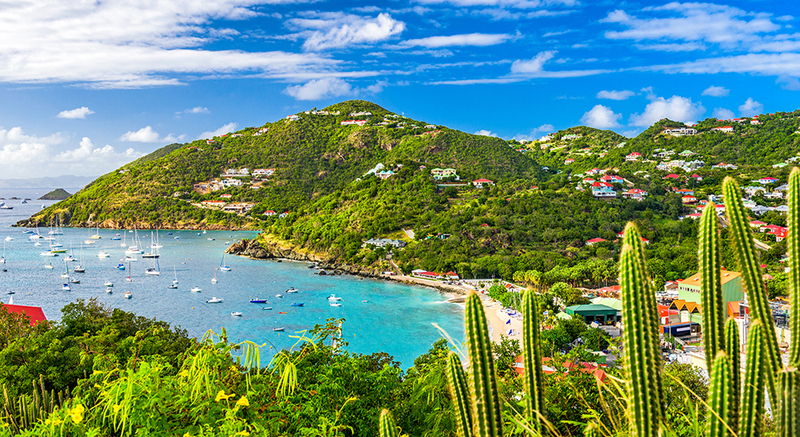 For the sea lovers, Discover St Barth is a paradise. The best way to see the island is from the waters that surround it. We have hand-selected our favorite water activities for you to choose from: Scuba diving, Catamaran Cruise and Jet Ski. Complimentary Private Charter with Full Day Scuba Diving for 2 people – Discover the wealth of the waters overflowing with the fish of St Barth in the company of certified instructors who will ensure your comfort and your safety (gift value of 1,900 Euros). Complimentary 1-1/2 Hour Jet Ski Tour of the Island for 10 people – Yamaha scooters will take you at your own pace on the turquoise water, accompanied by a qualified instructor (gift value 1900 Euros). Complimentary Full Day Private Catamaran Cruise for up to 10 people – Enjoy smooth sailing on the Lagoon 450, a 45 ft Catamaran, during this picturesque journey from 9am to 4:30pm to the leeward side of St Barth (gift value 1,300 Euros). Book now to take advantage of last minute availability. Your VillaHotel experience aims to create a lifestyle organized by your own private Hotel Manager and his expert team of hand-picked and uniformed staff whom we train in-house to pamper you. Email villas@villazzo.com to book your minimum 14 night 5-star stay during travel dates of January 26th – March 31st to take advantage of this exclusive offer. We look forward to welcoming you to your own private VillaHotel in paradise.